More formal social events were also a standard part of factory life. 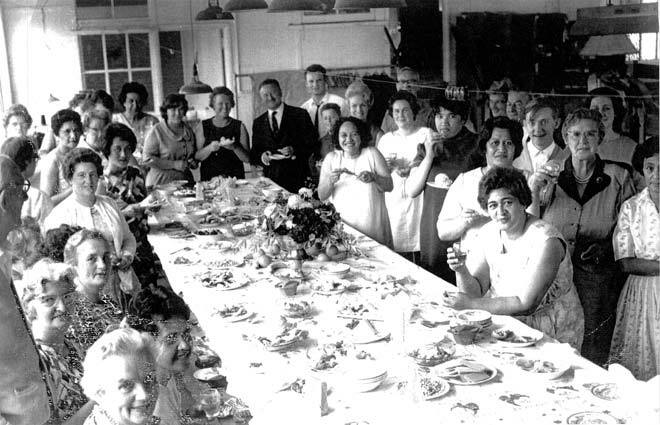 This is an end-of-year party at Austen Levy’s Levin factory. Mr Levy, in a dark suit, is at the head of the table. Levy’s, opened in 1939, was the first of many clothing factories that opened in Levin. By 1965 there were 15 textile or garment factories employing 10 or more people in the town.